US Transportation Secretary Ray LaHood was in Detroit for the tenth time Monday to talk about the region’s mass transit future. LaHood met with Governor Snyder, Mayor Dave Bing, and state lawmakers, and again made clear that the federal government is willing to put money into a regional transportation authority (RTA) for Detroit. But Lansing hasn’t acted on bills to create an RTA to run that system. LaHood says every other major metro area in the country has such an authority—and Detroit needs one too for the federal dollars to flow. “Every other place, people have come together, worked together, set aside their own agendas and their own egos, for the good of the people," LaHood said. "This is about the people. "We're willing to put millions of dollars on the table, if the communities can get [their] together." Both LaHood and Governor Snyder said there's been "some progress" on the issue during the course of LaHood's visits to Detroit. Snyder is urging Republican leaders in the House and Senate to finally bring the bills up for a vote in the post-election lame duck session, after both parties have had a chance to caucus on it. But, "I don't really see this as a partisan issue," Snyder said. "Let's show that Metro Detroit--the whole region--can come together with strong support, that will then make it easy for the rest of the Michigan legislators to get on board and say, 'Let's move forward.'" The political dynamics holding up the RTA in Lansing appear to be the same as those that have blocked Detroit from building a regional transit system for the past four decades. Democratic city lawmakers fear giving up control over the city's bus system and accompanying funds. And suburban, largely Republican lawmakers don't want to pay into a regional system that many of their constituents oppose. A proposed light rail project on Detroit’s Woodward Avenue won’t be getting millions in federal transit dollars—for now. U.S. Transportation Secretary Ray LaHood awarded the so-called M-1 project a $25 million TIGER grant in 2010. But late last year, LaHood, Governor Snyder, and Detroit Mayor Dave Bing decided that money would be better spent on a regional rapid bus system. 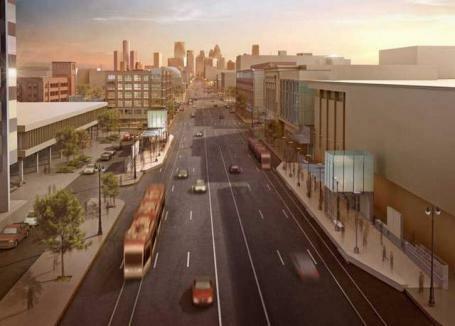 Since then, M-1’s private backers—who have pledged millions toward the 3.4-mile span connecting downtown Detroit and the New Center area—have rallied to re-gain government support for the project. Governor Rick Snyder discussed all kinds of issues during an online townhall meeting today. People participated in the town hall online and remotely from Traverse City, Grand Rapids and Detroit. 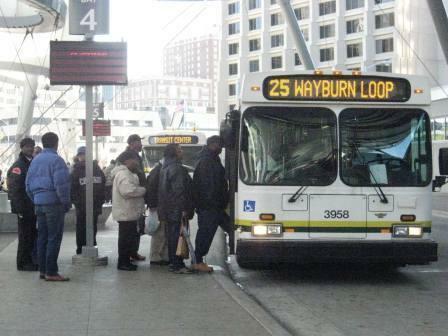 Are stars aligning for a southeast Michigan transit authority? Southeast Michigan county, business, and community leaders seem to agree; the region needs a transit authority to attract businesses and young talent. Testimony at a House transportation committee hearing overwhelmingly supported bills to create an authority. John Hertel is the general manager of the SMART transit system. He said this is the first time in four decades he’s seen this level of agreement between the city of Detroit and its suburbs. "I’ve never seen anything like this. It’s wonderful to see. But while it’s there, we need to strike and move forward. This kind of thing obviously doesn’t come along very often," said Hertel. Hertel said he’s not yet confident the Legislature will pass the plan. Robert Daddow spoke on behalf of Oakland County Executive L. Brooks Patterson. He’s confident the bills will pass. "The governor has pressed this for some period of time, has been actively working in the coordination between the units – Detroit, Wayne, Oakland, Washtenaw - in trying to get an agreement together. And we’re very, very close, if not right there, right now," said Daddow. State officials have tried many times to establish a regional transit authority in southeast Michigan. Some supporters are skeptical it can get out of the legislature. Others worry about possible legal challenges if it does pass.